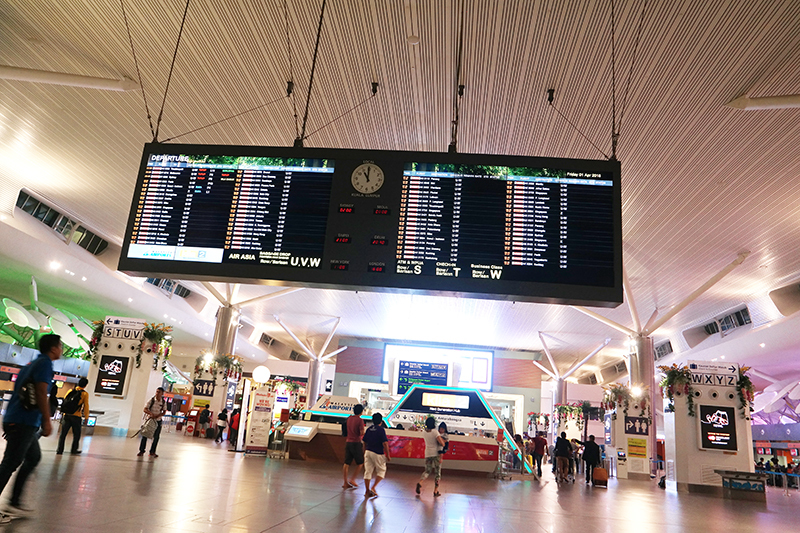 There is something which makes me feel like I have butterflies in my stomach every time I'm at the airport. It's a mixture of the excitement and nervousness of going to a foreign place. 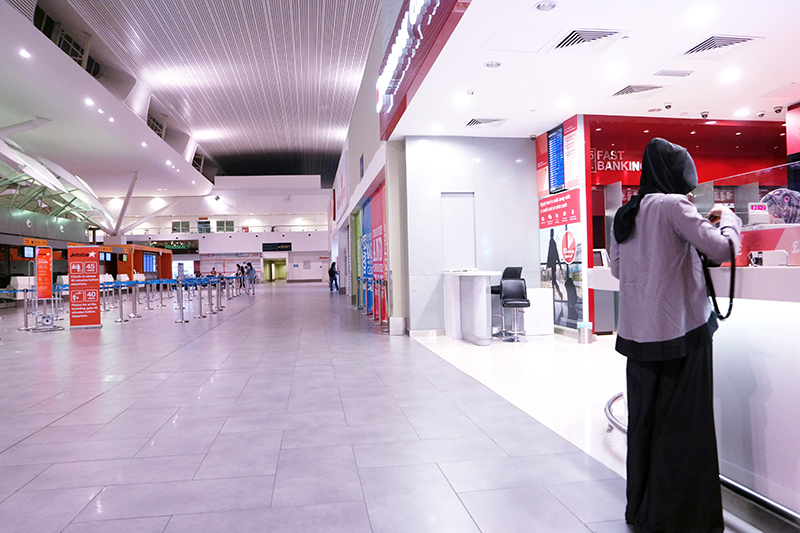 The airport is a place of transition between our comfort zone and stepping out of it. Always, when I get back from a foreign place, I learn new things, gain new insights, have a different perspective about life and sometimes I find out new things about my own self too. So, the airport is a symbol of that, and more. 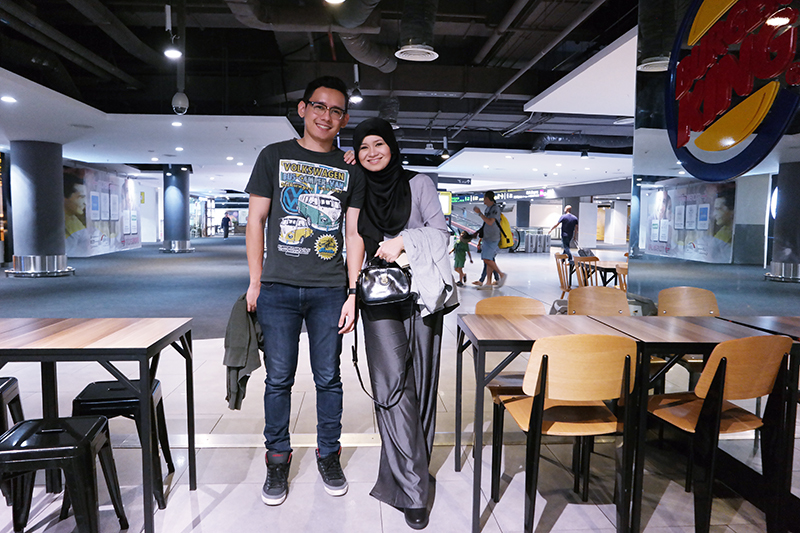 The husband, Khubayb and I at KLIA 2 before we travelled again. This is the 4th time I'm at the airport going to a foreign place in the span of less than a month. I went to Shenzen and Shanghai, China for aere 3 weeks ago and then a week later I was off again to Shanghai with Khubayb, and just three days after I got back, here I am again flying off to a different part in the world. All praises to the One who bestows blessings upon us for giving me the chance and opportunity to travel the world once again. Alhamdulillah. The 3 days I was in KL, in between Shanghai (the second time) and jetting off again, I dedicated for meetings with manufacturers and my team for aere while I was still contactable via Whatsapp for any urgent matters relating to aere. I haven't actually recovered from the hectic yet lovely trip at Shanghai, so there were things that I didn't get to prepare or plan ahead for this trip. (Like changing money in advance or pack few days ahead). So one of the nights before this trip I just didn't sleep, planned my outfits and packed everything till the very last minute. In between I still had meetings and things to settle for my work on the same day I left. Here I am changing money at the very last minute. We told our family that they didn't need to send us off when they offered because we didn't want to trouble them as there was sure going to be massive traffic as it's a Friday night and we thought of taking public transport that day (actually Uber haha) but it turns out we couldn't get any at the peak hour that Friday evening. 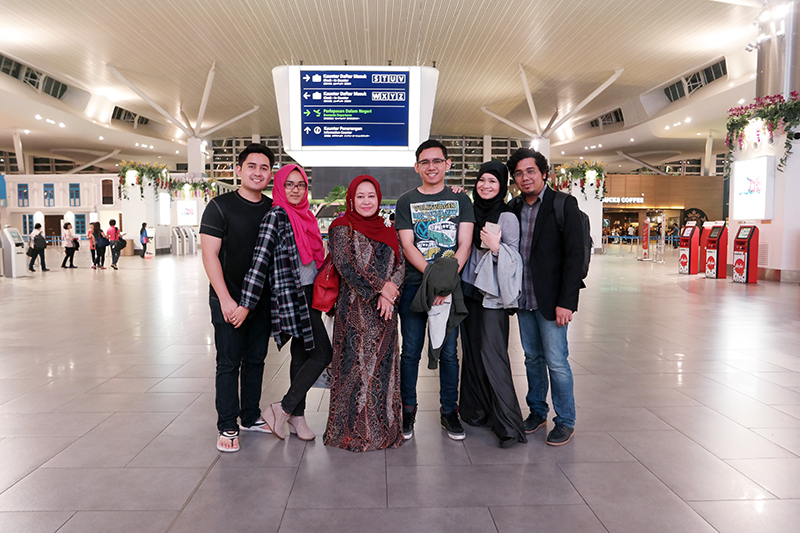 It just so happens suddenly my kind, thoughtful and selfless brother Khairul insisted to send Khubayb and I to the airport at the very last minute with my family. How sweet considering its also his birthday). Our flight was at midnight, but we had to be there 3 hours before to meet up with the rest. Oh, where was I going? Mostly Perth, but specifically Western Australia. 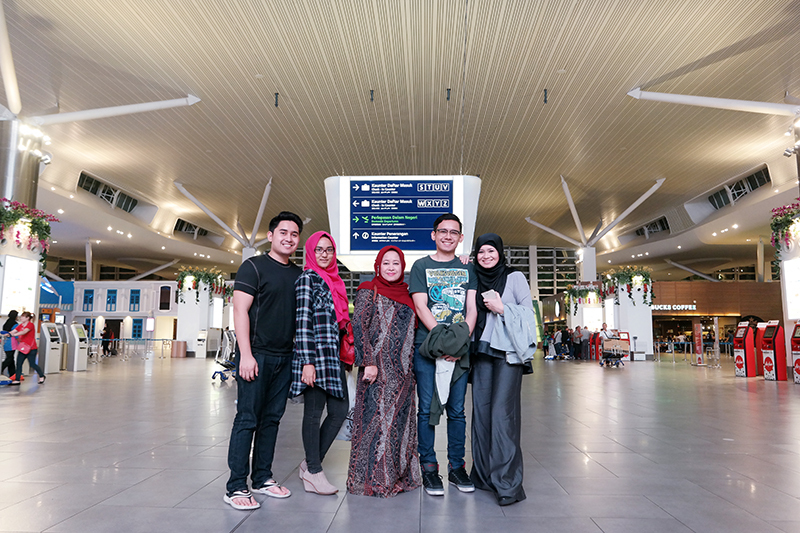 This was a sponsored trip by AirAsiaX and Tourism of Western Australia to explore the newest hotspots of Western Australia where they invited a few bloggers to explore this beautiful region. So, after meeting my manager from Nuffnang Samantha at our meeting point together with the other bloggers going together for the trip and after checking in together, we decided to eat at one of the fast food restaurants as that was the only one which had food at the time. We didn't have much time before going in. I chose this comfortable outfit for travelling. aere's Top and Pants from next collection and aere's PLATINA Jacket. With fellow bloggers going on the same trip with us. L-R : Careen Tan, Bobo Stephanie & Karen Kho. Since it's my brother's birthday I took a photo with him that night and also with all my family members. Just coz. I'm so blessed that my beloved family always offer to send us off. In fact, in the last trip to Shanghai, both my parents sent me to the airport. :) I guess since it's hard to find time to meet up with family, these are actual quality moments where we can catch up too. One for the album with the birthday boy, my brother Raja Khairul Anwar. 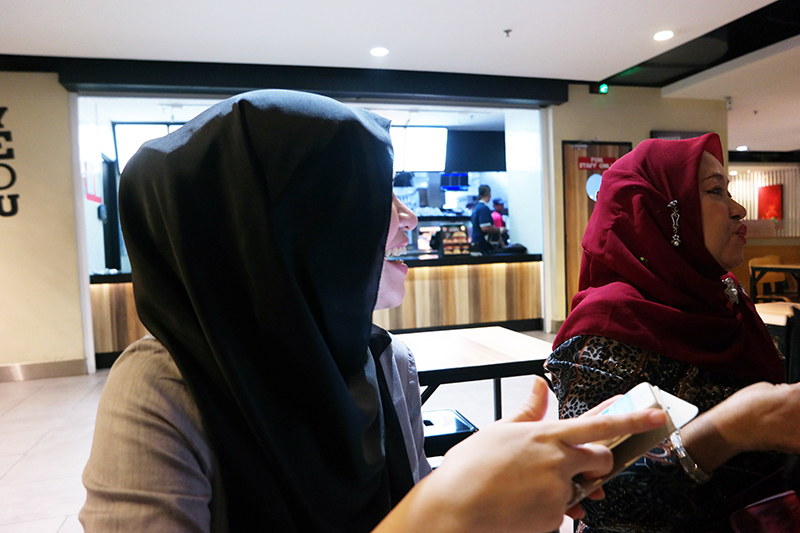 I can't remember why but I think I was panicking about something at the time and here my SIL Syahira Zakaria was cracking a joke and chatting with me. Us with most of my siblings and my mother. Anyway, we were all pleasantly surprised when AirAsia X gave us special seats on the aeroplane! Will continue more on my next post and can't wait to share more photos from my travelling trips! Sukanya tgk sis pergi Australia..Teringin jugak..